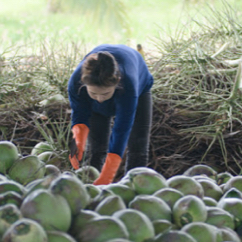 We start with uniquely fragrant and tasty young, organic coconuts grown in Thailand. With no extra ingredients, our coconut water is the closest you can come to drinking straight from a coconut. 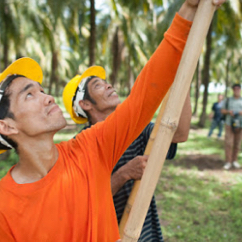 As the first Fair-For-Life coconut water, we invest in the communities at the source, creating a positive social and environmental impact. Coconut water contains naturally occurring variations in levels of antioxidants, such as polyphenols, that can turn pink. 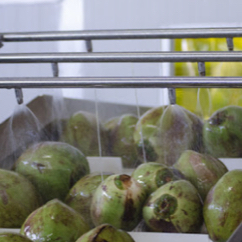 All of our coconut water is clear when bottled. Uniquely fragrant and tasty coconuts grown in Thailand and harvested at the peak. Proprietary process in our state of the art facility. We pioneered a propriety process that maintains the great taste and nutrients while delivering unparalleled quality and safety. Our critically acclaimed coconut water, now with an average of 24% less plastic. Get it Delivered or Get it Yourself!